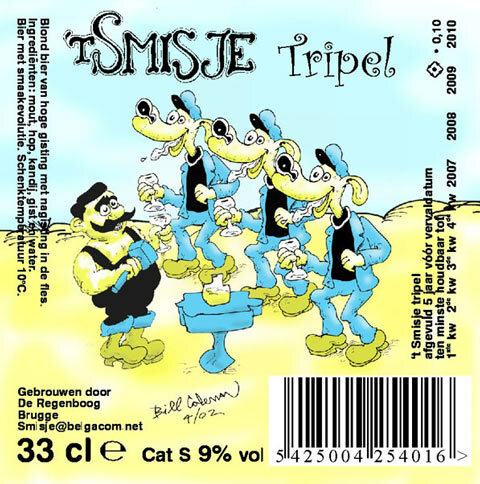 This page documents the Salty Dog's appearances on commercial beers. 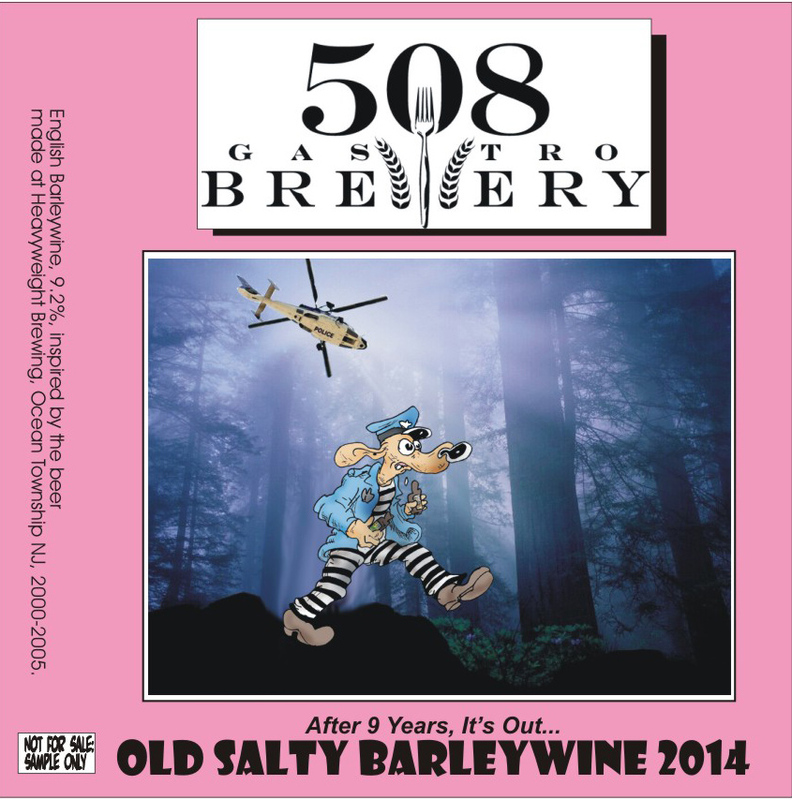 Old Salty 2014, 508 Gastrobrewery, New York, NY. 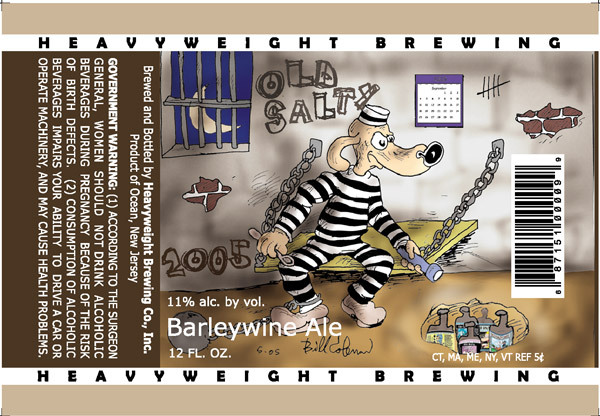 Old Salty 2005, Heavyweight Brewing, Ocean Township NJ. 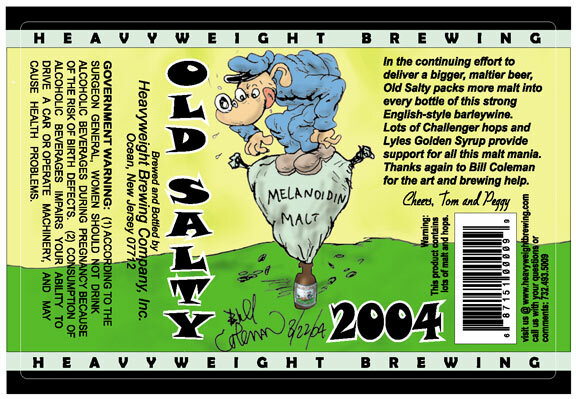 Old Salty 2004, Heavyweight Brewing, Ocean Township NJ. 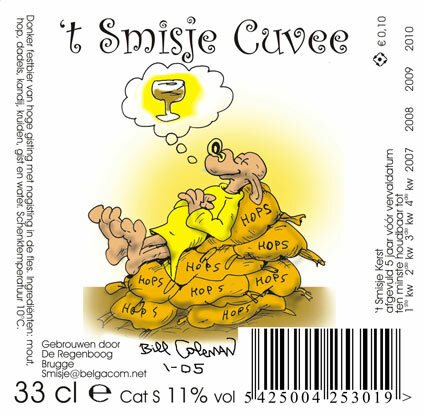 'tSmisje Cuvee, Regenboog Brewery, Brugge. 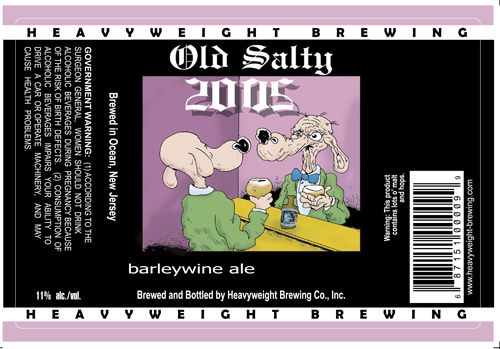 Old Salty 2003, Heavyweight Brewing, Ocean Township NJ. 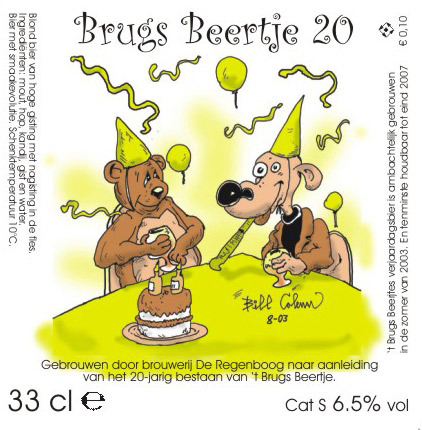 An account of the brewing of the 2002 batch of Old Salty is up on the Heavyweight Website. Old Salty 2002, Heavyweight Brewing, Ocean Township NJ. 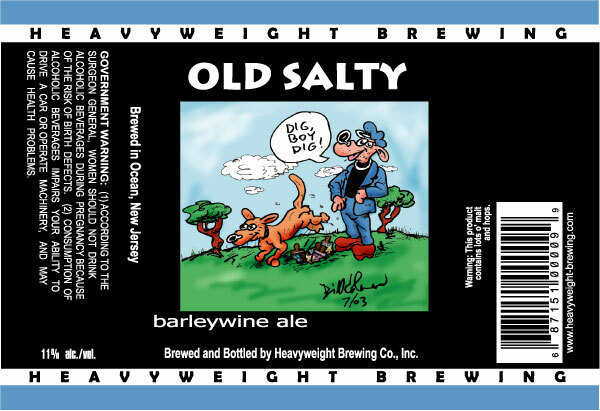 Old Salty 2001, Heavyweight Brewing, Ocean Township NJ. 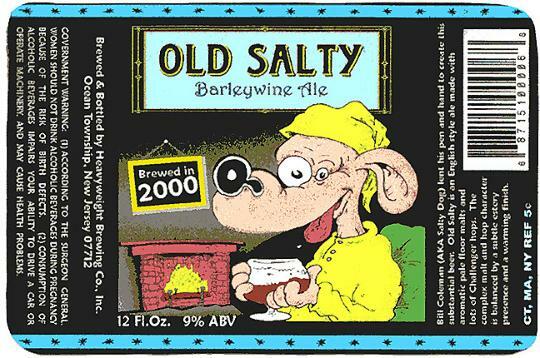 An account of the brewing of the 2001 batch of Old Salty is up on the Heavyweight Website. Old Salty 2000, Heavyweight Brewing, Ocean Township NJ. 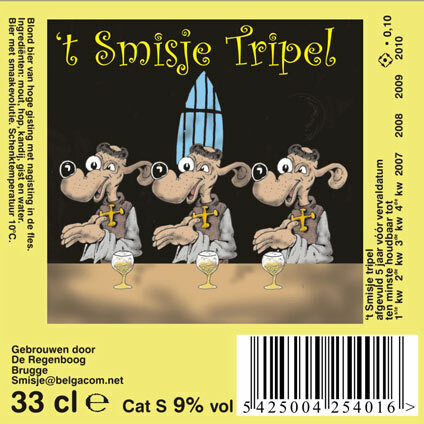 Tom Baker's account of the brew session appears on the Heavyweight web sight. My own account occurs in the December 2000 MBAS newsletter. 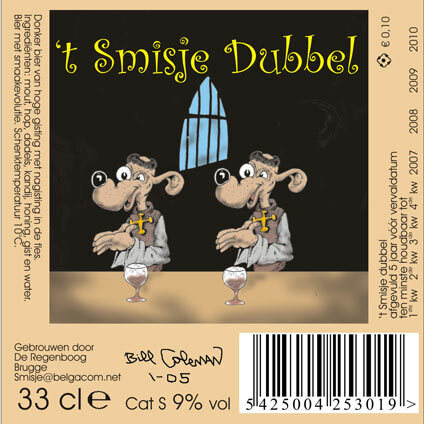 Slee Dorn, Regenboog Brewery, Brugge. 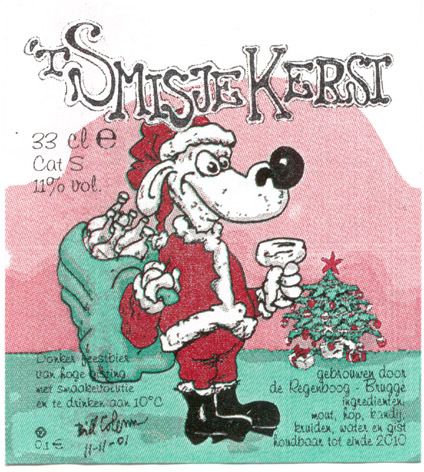 Smisje Kerstbier, Regenboog Brewery, Brugge. 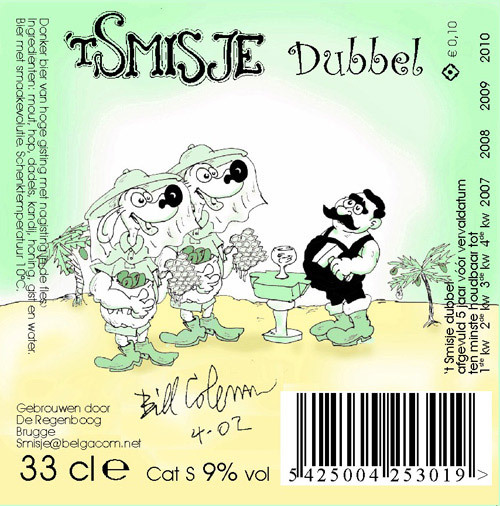 For an account of the brewing of this beer, read the November 2001 Newsletter (need Adobe Acrobat Reader).